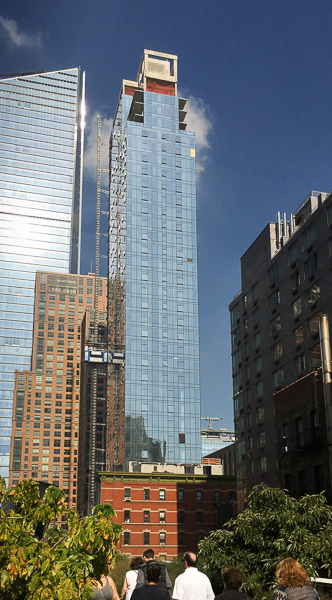 Marketed as “507 West Chelsea”, this AKM-designed tower is almost fully clad. Spanning east and west of the linear park, sliced by the elevated right-of-way, this unique project is comprised of 3 buildings connected by an lobby passing under the High Line itself. The tower stands at 420 feet tall, and will be the High Line’s tallest residential property. These 375 units in West Chelsea are scheduled to be available in late 2016. With 360 degree views of the city and Hudson River, the building also includes a common roof top space, indoor pool and fitness center among other amenities.